Liberal Leader Justin Trudeau has unveiled myriad environmental promises in Vancouver, including hundreds of millions of dollars in clean technology investment and a continued focus on climate change. Trudeau would also invite all the premiers to attend the United Nation's Climate Change Conference in Paris, in what would be one of his first major international forays should he become prime minister. Within 90 days of the conference, a first ministers meeting on climate change would be held to come up with a plan that includes the creation of national emissions-reduction targets and ensures provinces have support in designing their own carbon pricing policies. He also plans to fulfil a G20 pledge to phase out subsidies for the fossil fuel industry, which the Conservative government signed onto in 2009. A 2012 report by Canada's environment and sustainable development commissioner noted that federal subsidies over the previous five years had been declining in line with the G20 commitment. A Liberal government would invest $200 million each year to create strategies that support innovation and clean technologies in the forestry, energy and agricultural sectors, and invest another $100 million to support clean technology companies. "The environment and the economy," he said, "They go together. They go together like paddles and canoes. If you don't take care of both, you're never going to get to where you're going." "Because you can't have a strong economy without a healthy environment." In addition to climate change, Trudeau's environmental platform covers a range of promises from national parks to freshwater and oceans. 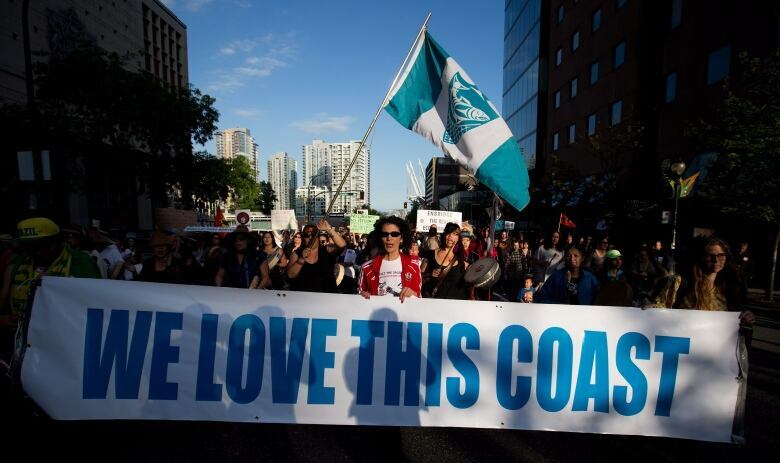 In a bid to protect marine areas, the Liberal leader plans to formalize the moratorium on crude oil tanker traffic on British Columbia's North Coast. The House of Commons had adopted an NDP motion banning crude oil tanker traffic in 2010, but the resolution was non-binding. An unofficial moratorium had existed for decades prior to the NDP motion. Ending oil tanker traffic would effectively kill the Northern Gateway pipeline project, which would transport crude oil from Alberta to Kitimat, B.C., to be shipped to Asian markets. Trudeau has said previously that he does not support the pipeline and would not let it happen if his party assumes government. The Liberal leader has been pushing a platform rooted in transparency, accountability and public trust. Continuing in that vein, the party promises to launch an immediate, public review of government environmental assessments, including consulting with First Nations, Inuit, and Métis on projects. "We need a government to establish a fair and open playing field where the rules of the game are respected and where proponents of a project get to actually explain and justify it to people who have concerns," he said to reporters. He reannounced a pledge to work with the United States and Mexico to develop a North American clean energy and environmental agreement. Ahead of Canada's 150th anniversary, Trudeau also said the Liberals would suspend admission fees to national parks in 2017. And beginning in 2018, admission to national parks would be free for children and adults who are new Canadian citizens. NDP deputy critic for energy and natural resources Malcolm Allen said Trudeau's speech was "a whole pile of smoke and mirrors" that did not detail any real plan. "If he wants to lead this country, one would think that he would want to take a leadership position," Allen said in an interview with CBC News, criticizing the Liberal leader's intent to attend the UN summit with premiers and then develop a plan afterward. "Instead, he's decided to say, 'Well, the provinces will tell me what they want to do and [then] I'll join the gang.'" Allen also said that Trudeau made no mention of the polluters pay principle, which is part of the NDP platform. "There's no sense of, well, let's make polluters pay — the folks who actually cause it — so let's find a way to make them pay." In a joint statement, Natural Resources Minister Greg Rickford and Environment Minister Leona Aglukkaq said the government has already embarked on a number of environmental initiatives, including an agreement with the U.S. and Mexico and clean energy investments. The two also criticized Trudeau's comment on carbon pricing. "Justin Trudeau is proposing a carbon pricing scheme that will increase the costs of everything, including gas, groceries, electricity. 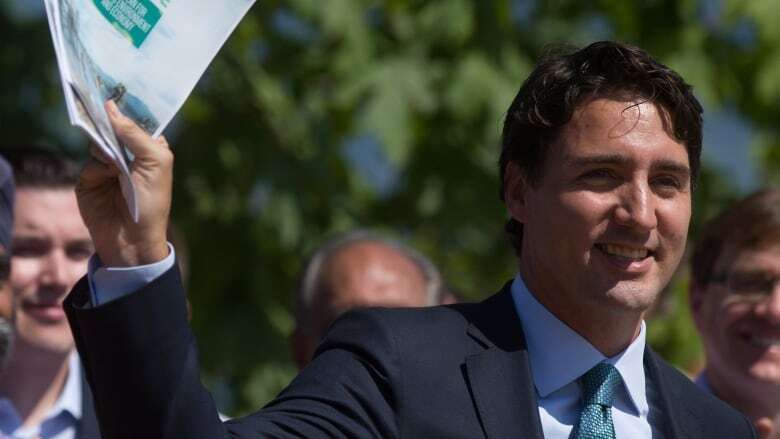 Justin Trudeau does not understand the impact that his carbon pricing scheme will have on the budgets of Canadian families," the statement reads. In May, the Conservatives announced that Canada would commit to reducing its greenhouse gas emissions by 30 per cent below 2005 levels by 2030. Aglukkaq also announced new rules to reduce methane emissions from the oil and gas sector, such as industrial leaks and gas flares, which make up a significant portion of the industry's total emissions. At the G7 summit earlier this month, Prime Minister Stephen Harper agreed to a commitment to deep cuts in carbon emissions by 2050 — with an eventual stop in the use of fossil fuels by the end of the century.